White collar crimes refer to nonviolent crimes that are financially motivated. They typically involve business or government professionals committing crimes at or through their work. The term white collar crime was first defined by Edwin Sutherland in 1939 because the crimes were committed by “a person of respectability and high social status in the course of his occupation.” These types of crimes include fraud, identity theft, embezzlement, bribery, securities fraud, wire fraud and tax evasion. The penalties of white collar crime vary depending on the circumstances of the crime and the amount of money involved. White collar crimes can be prosecuted in state or federal court as determined by the situation. Many white collar crimes are felonies. Consequences of a felony conviction include both imprisonment and large fines. Incarceration and fines are not the only consequences of a felony conviction. In Illinois, a felony conviction also has other collateral consequences. Convicts many not vote while incarcerated. Additionally, those convicted of felonies often have trouble finding employment even after they have served their sentence. Employers tend to view convictions for embezzlement or fraud as negatives. Many occupations require licensing. A felony conviction may cause the loss of license and prevent obtaining a license in the future. A white collar crime conviction can disrupt your life, remove your freedom, and have lasting detrimental impact on your future. If you are being investigated for a white collar crime in the Chicago area, be sure to contact a professional Chicago white collar crime defense attorney. 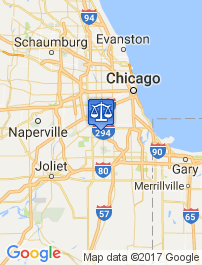 Look for a Chicago attorney with experience handling state and federal offenses. 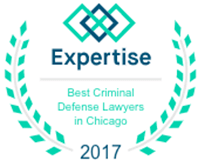 Whether your case takes place in state or federal court, you want an experienced Chicago defense attorney that understands your case and knows how to operate in state or federal court. 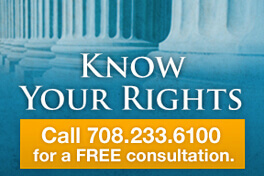 Criminal defense attorney Dennis F. Dwyer has the expertise needed to defend your case in state or federal court. He will search the evidence to understand your situation so that he can provide the best defense possible. Don’t put your freedom and livelihood at risk by facing criminal charges without an experienced attorney at your side. Contact white collar criminal defense attorney Dennis F. Dwyer to discuss your case.